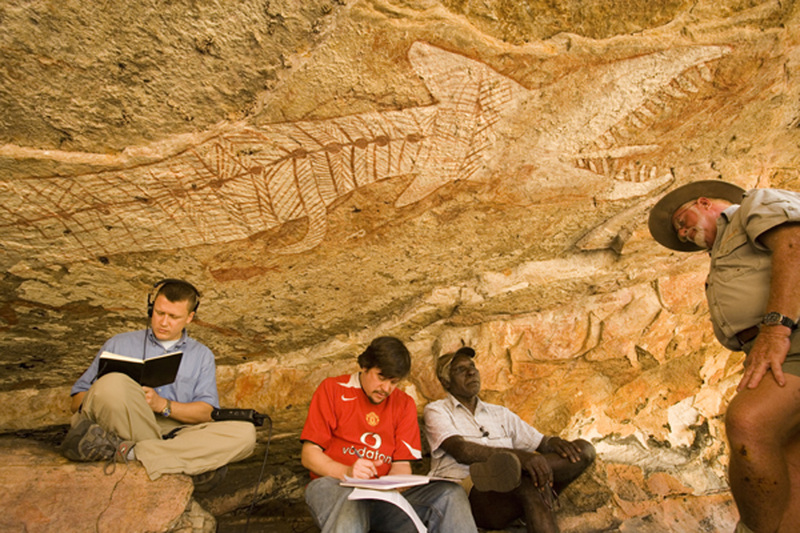 Aboriginal Australia holds some of the world’s most endangered languages. Many languages in the south and east of this Hotspot have been lost already, and more will soon follow. 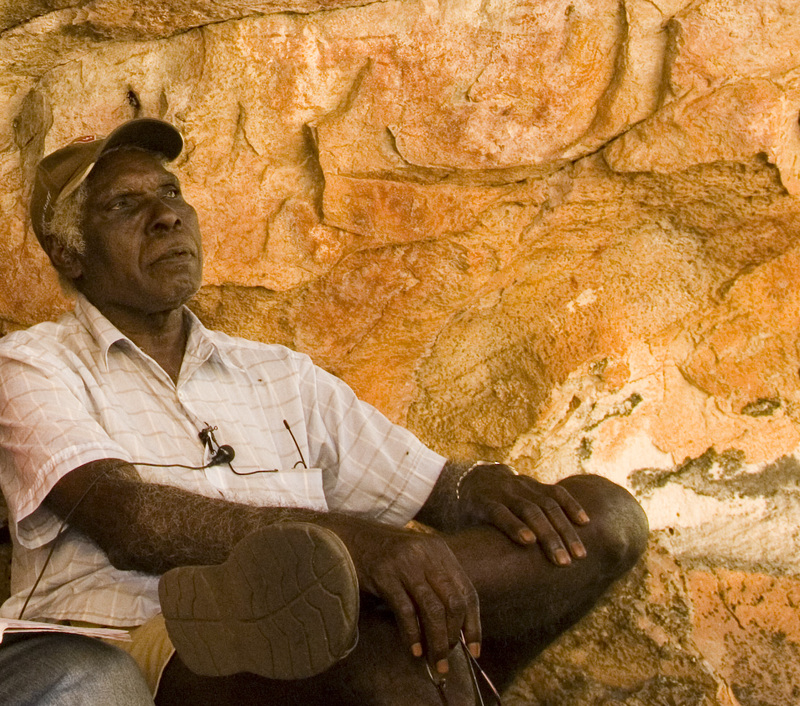 Aboriginal groups are small and scattered because of a history of conflict between white settlers and aboriginal groups. 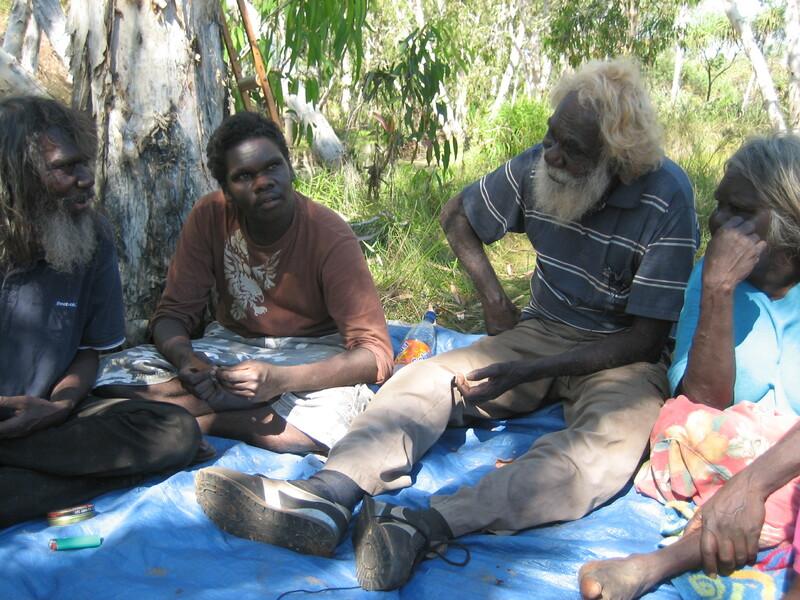 Many aboriginal groups did not survive this contact, while many others only barely survived and struggle to maintain language and culture. 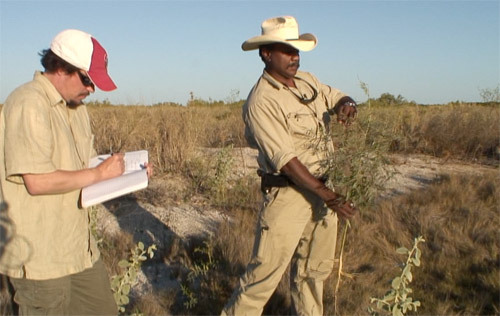 Read about our 2007 Australia expedition on our expedition page. Arrerneakwelelheme means 'she is supposedly sitting down' in Eastern Arrente (2,000 speakers), and is a combination of the verb arrern (to place), suffixes elh (an action done to oneself) and eme (present tense), and the word akwele (supposedly). 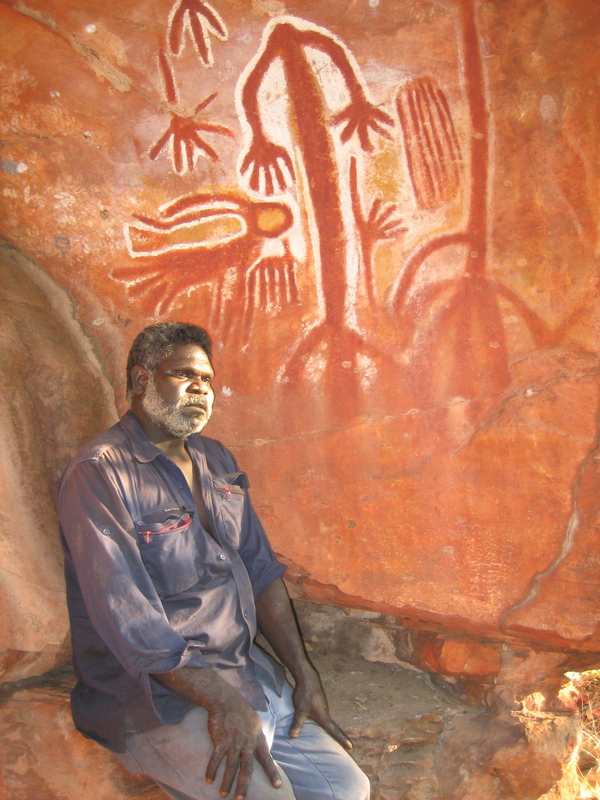 Click here for a recording of Magati Ke, a language of Australia. David Harrison and Greg Anderson with Charlie Mangulda, the last known speaker of Amurdag. Photo by Chris Rainier. Charlie Mangulda, the last known speaker of Amurdag. Photo by Chris Rainier. 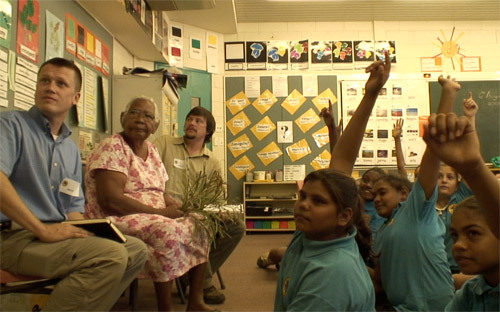 Doris Edgar, tribal elder and one of a reported 3 remaining speakers of Yawuru, conducts a language lesson for local schoolchildren using plants. 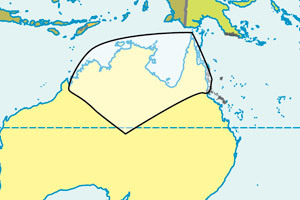 Language map of Australia. Click to download as a pdf. From Wurm, S. A. 1972. 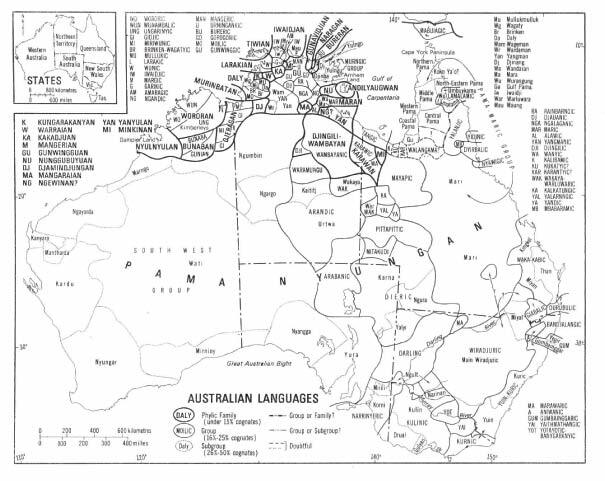 Languages of Australia and Tasmania. The Hague: Mouton. Hercus, L., F. Hodges and J. Simpson, eds. 2002. The Land is a Map: Placenames of Indigenous Origin in Australia. Canberra: Pandanus Books. Alpher, Barry. 1991. 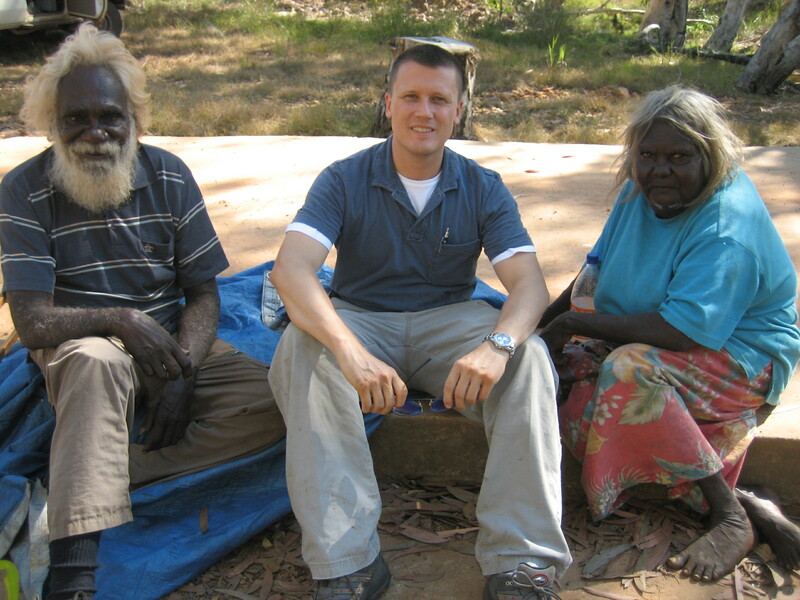 Yir-Yoront Lexicon: Sketch & Dictionary of an Australian Language. Mouton de Gruyter.